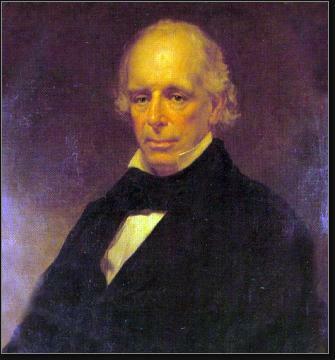 John Cox Stevens was born September 24, 1785 in Hoboken. He was one of three sons born to railroad and steamship pioneer Colonel John Stephens, whose family founded the city on the Hudson. While brothers Robert and Edwin (whose will established Stevens Institute) became engineers and inventors, John was more of a sportsman. He was fascinated with speed and competition. He sponsored foot and boat races, and created the Elysian Field amusement and recreation park in his hometown to increase ridership on the Stevens ferry line. In 1846, the Knickerbockers played the first “official” game of baseball on this site. John's nephew, Richard Fowler Stevens, was a member of the Knickerbockers in the 1850s and played many a game on his uncle's ballfield. Richard was one of the first pitchers to figure out how to throw a fastball with the elbow-stiff, underhand delivery tthat was dictated by the rules of the day. 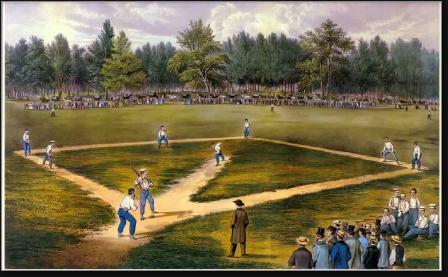 It has been observed that, had the Knickerbockers not enjoyed unlimited access to the finest field in the region—or if his nephew had pitched for another club—their version of the game might not have been the one that was universally adopted by the 1860s. As a breeder and trainer of horses, John was among the best. He bet heavily on his own animals, most famously on Eclipse in the epic 1823 race against Sir Henry. His horse Maria (named after his wife) won 13 of 25 races in the 1820s and 1830s. In the 1840s, John moved from Long Island back to New Jersey, splitting time between the family’s Castle Point estate in Hoboken and South Amboy, where he began to focus on yacht racing. In 1844, John purchased Gimrack. It was on this yacht that he and eight other men formed the New York Yacht Club. John was elected commodore. Two years later, he began sailing Maria. It was designed by his brother, Robert. In 1851, John, brother Edwin and four other NY Yacht Club members traveled to England at the invitation of the Royal Yacht Squadron to take part in an open regatta around the Isle of Wight for the Hundred Guinea Cup. They hired George Steers to build an innovative 101-foot 170-ton clipper for $30,000. America competed against 17 British boats ranging in size from 47 tons to 392 tons. She brought up the rear in the early stages of the race, but slowly closed on her rivals before pulling ahead to win. Queen Victoria congratulated John and his crew, who brought the cup back to New York and displayed it in the Stevens mansion—which became the home of the New York Yacht Club after John passed away in 1857. America was sold several times over the years, and actually served as a blockade runner for the Confederacy during the Civil War.